Glow rose gold with highlighters from Hard Candy, Maybelline and Sephora! Hard Candy Just Glow Rose Glow Highlighter - $7.98 - a creamy all over powder highlighter that gives skin an ultra-reflective glow. 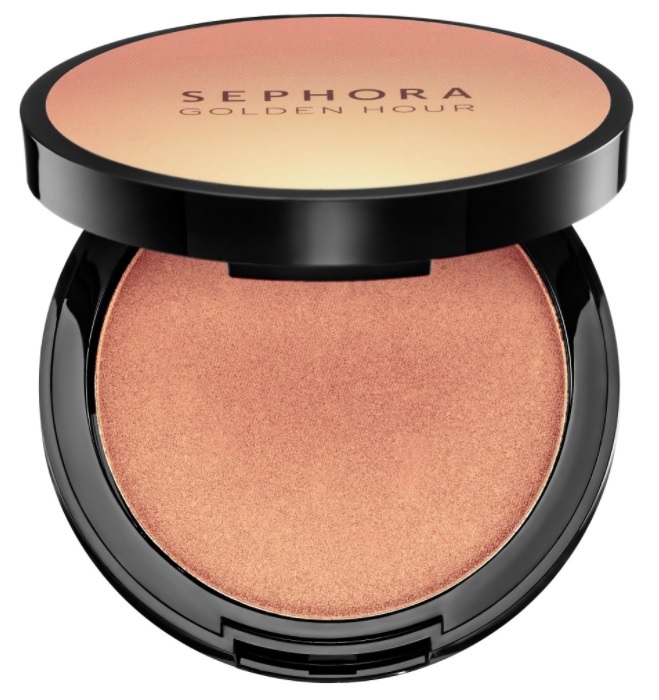 Inspired by a sunset, this rose gold hue blends smoothly onto skin and instantly flatters all skin tones. Use the three shades individually or mix together to create one gorgeous shade. Maybelline Master Chrome Metallic Highlighter in Molten Rose Gold - $12.99 - with a creamy, highly pigmented formula that melts beautifully into the skin - it's very easy to create a dramatic look with a little layering so go easy unless drama is what you are after! Also available in Molten Gold. Twilight - a lilac tone that gives the effect of ethereal moonlight.